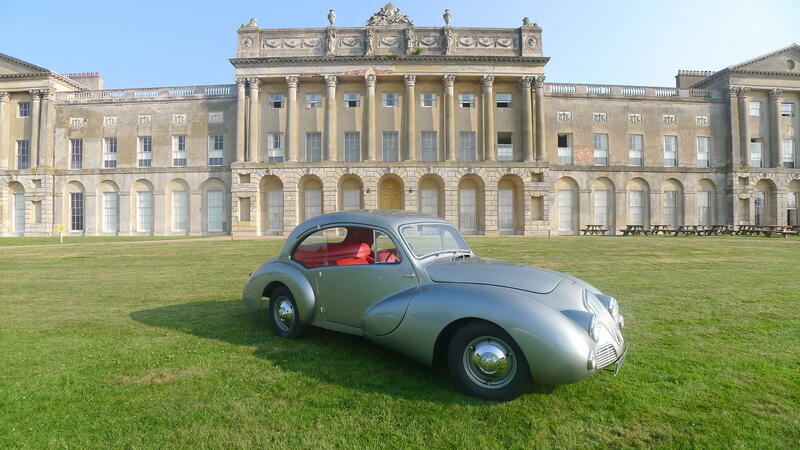 The Donald Healey Motor Company completed its first car in 1945, going into production the following year with the Elliott sports saloon and Westland roadster, both 2.4-litre Riley powered and featuring Healey's own trailing arm independent front suspension. For a time the Elliott was the world's fastest closed four-seater production car, clocking 110mph at Jabbeke, Belgium in 1947. Chassis were also supplied to Duncan Industries Ltd of North Walsham, Norfolk until that company's closure in 1948, by which time an estimated 39 of the Riley-powered Healey variety (Duncan also bodied the contemporary Alvis chassis and those of other makes) had been completed. Approximately 15 of these Healey chassis were bodied as Drones, which were offered with only the bare minimum of rudimentary bodywork in order to keep the price down. The Drone's raison d'être was the 66% Purchase Tax levied on completed cars costing over £1,000 if they remained in the UK, a penalty calculated to encourage such cars to be exported. Sadly, relatively few Drones had been completed when Duncan Industries folded, fatally wounded by the swingeing levels of tax applied to its fully finished products. This is all the more regrettable as the Duncan sports saloon with its aerodynamic, aircraft-inspired, pillar-less coachwork (designer Ian Duncan had worked for the Bristol Aeroplane Company during WW2) was one of the outstanding designs of the day and had been acclaimed on its debut at the Paris Motor Show. It is estimated that of the 39 Duncan-bodied Healeys produced, some eight still exist in varying states of repair, six of which are sports saloons like that offered here. In 1962 this car was registered to D W Motors Ltd in Lowestoft, who in 1963 sold it to one J P Reilly of Metfield, Suffolk. Rodney Mulhurne of Ditchingham, Norfolk was its next owner (from 1975) followed by John George Walpole of Harleston, Norfolk. In 1993 the vendor's father acquired the Healey Duncan, which was now in a poor state of repair. David Wall, a specialist restorer, was commissioned to undertake its renovation, which was completed in 1996. Since then the car has been kept garaged in Norfolk, regularly maintained and occasionally taken to rallies. Recently serviced, this ultra-rare example of British automotive ingenuity is offered with sundry invoices, current MoT, Swansea V5 document and an album of photographs recording its renovation.